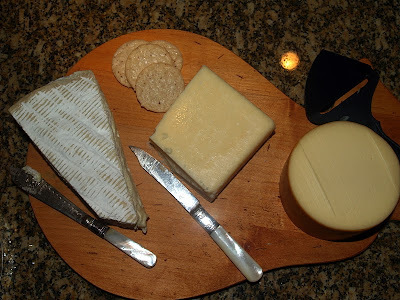 Elizabeth brought over a nice assortment of cheeses. Brie on the left, aged cheddar in the middle, and smoked gouda on the right. I thought Gianna was going to eat the whole board by herself. We love cheese in this house! Also, rice crackers make a great bed for them! 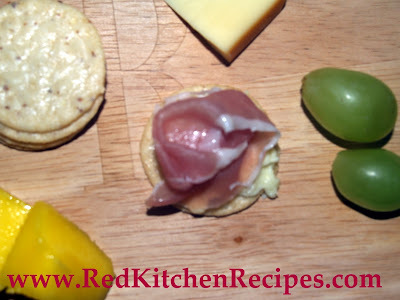 Top the rice cracker with some brie, some prosciutto, maybe some mango, and you have got some yummy bites! The way to remember how to make regular artichoke dip is "a cup, a cup, a can. "(Mayo, parmesan, artichoke hearts.) 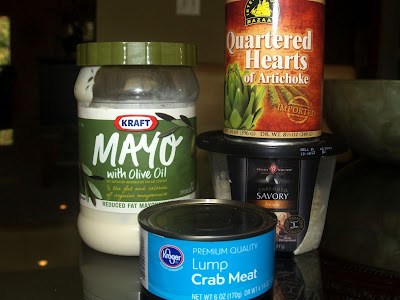 In place of plain old parmesan, I use savory asiago cheese because it is so much tastier! 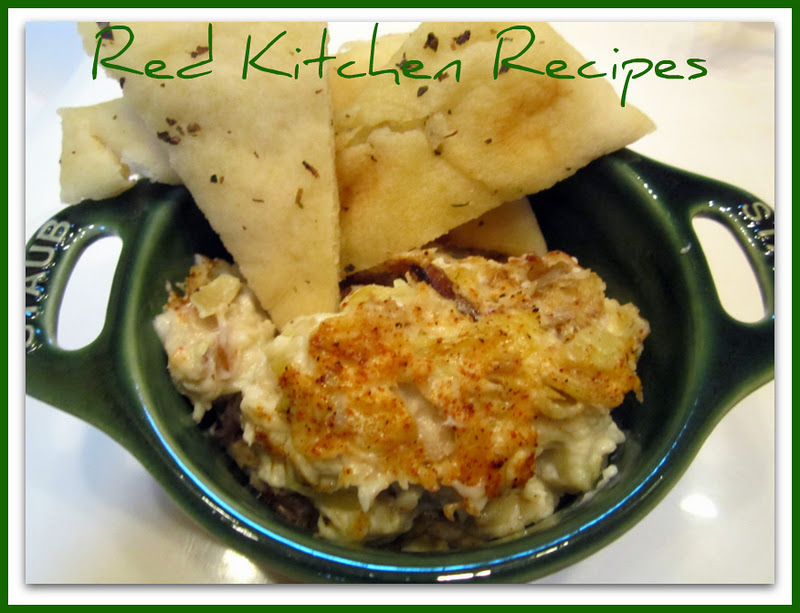 I also add a small can of lump crab meat - with juices and all. Season with a little garlic powder, mix in a square pan, and bake in the oven for 45 minutes on 350. I also top with a light layer of Tony Chacheres for color. Serve with warm pita triangles. 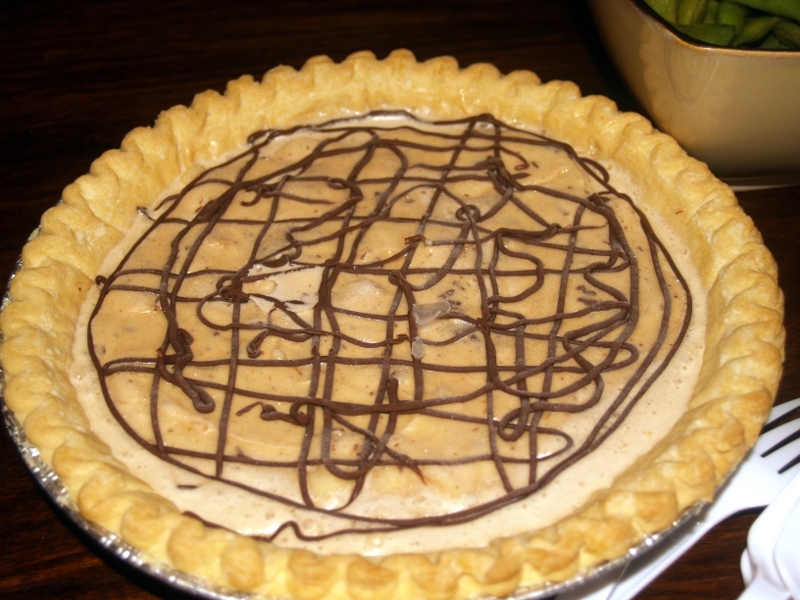 In that last post, where I said I don't usually eat pie or cake, well here is the exception! Ashley was polite to ask what she could bring, so I said dessert would be great. Wow, it was a frozen concoction with Nutella and banana and peanut butter. Peanut butter is high in protein and good fats! I will have to get this recipe, because it is sooooo good!!! Check back for that because you will love it!